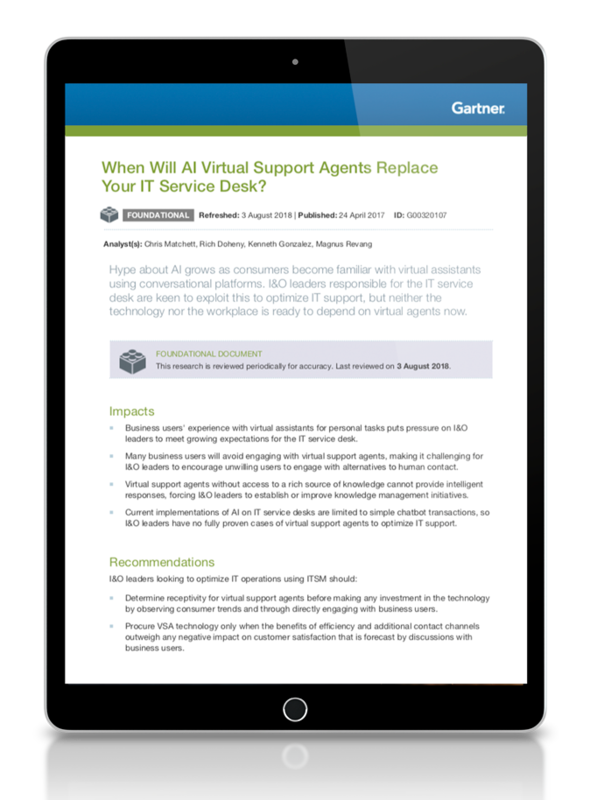 When Will AI Virtual Support Agents Replace Your IT Service Desk? In order to prepare users and your IT service desk for new AI initiatives, your organization must build a strong foundation which begins with a well-established knowledge base. Download the Gartner report today. 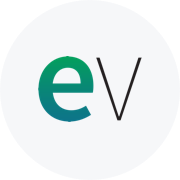 1 Gartner, When Will AI Virtual Support Agents Replace Your IT Service Desk, Chris Matchett, Rich Doheny, Kenneth Gonzalez, Magnus Revang, 24 April 2017. GARTNER is a registered trademark and service mark of Gartner, Inc. and/or its affiliates in the U.S. and internationally, and is used herein with permission. All rights reserved.